Matt Damon (the Bourne films, The Departed) carrying the acting load. Drew Goddard (The Cabin in the Woods) penning the script. Ridley Scott (Alien, for chrissake!) at the director’s chair. The credits seem to spell out “A+” for hard science fiction rescue story The Martian. And yet, there is hesitancy from this lowly critic. Damon is a great actor, but we just saw him play a similar role in last year’s Interstellar, albeit the character was much darker. Also, the book The Martian takes its name from doesn’t seem the most conducive for film treatment. Considering what Goddard did to World War Z in his script adaptation (to be fair, he was one of five writers on that film), The Martian may deviate quite a bit from its source material. This is a shame considering just how good Andy Weir’s book is. Then there’s Ridley Scott. He hasn’t struck gold with a movie in a while. The Counselor was a strange, hyper-sexual mess. Prometheus was an Alien movie without the xenomorph (essentially), which proved to be a mostly boring visual spectacle. On paper, The Martian looks great. But I have my doubts. Here’s hoping that the creative powers behind this movie can prove me wrong! 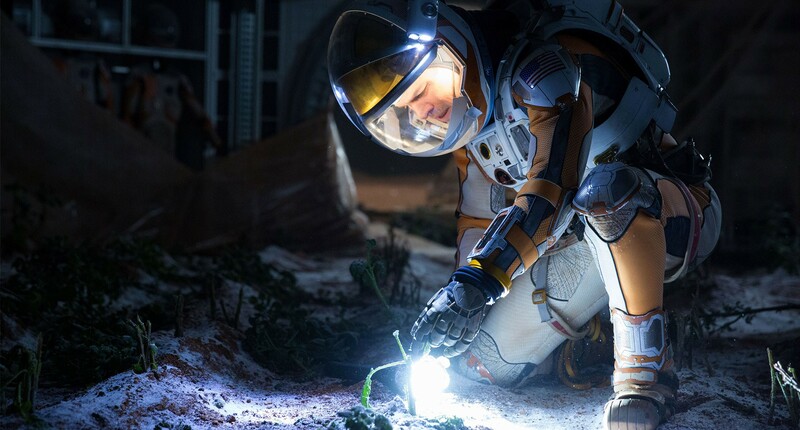 The Martian opens nationwide Oct. 2. Note: The Martian trailers are very revealing about the films plot. It dips into the second and third acts. This being said, watch the trailer below at your own risk. In 1974, Philip Petite decided to walk across the World Trade Center’s Twin Towers on a tightrope. The story of how he even got there to do it is as amazing as the walk itself and can be heard dictated at length in the 2008 documentary Man on Wire. 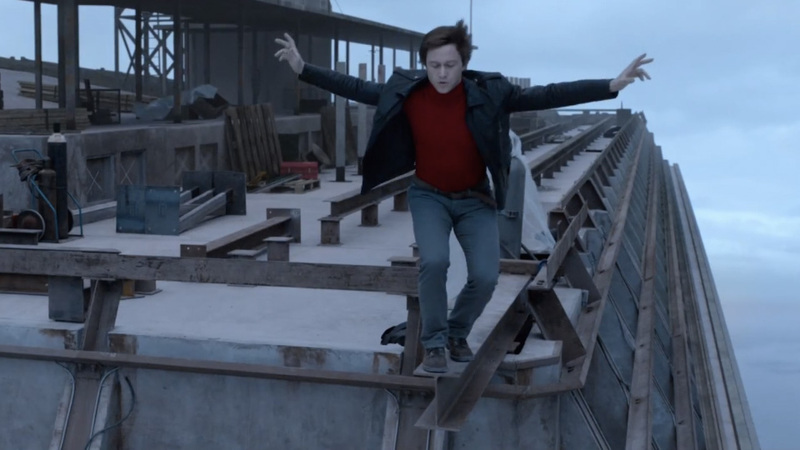 This is my hesitation with Robert Zemeckis’ biopic The Walk. Man on Wire is a wonderfully enthralling documentary that covers the entire event extensively. What more can a dramatization of the event bring to the table? It looks beautifully shot, I’ll give it that. It also looks like it will make me very anxious by stirring up my acrophobia. Speaking of being beautifully shot, Dariusz Wolski acts as director of photography for both The Walk and The Martian. Both appear to have heightened visual appeal. Perhaps this is the year Wolski gets an Oscar nomination. The Walk opens nationwide Oct. 9. First off, I apologize for claiming that this movie came out on Sep. 18. That was the limited release date. The wide release for Sicario is Oct. 2. This said, let me reiterate. Denis Villeneuve is a great up-and-coming director. Prisoners and Enemy are two highly engaging and cerebral thrillers. Add a star-studded cast to one of his movies, and it has the potential to be astounding. 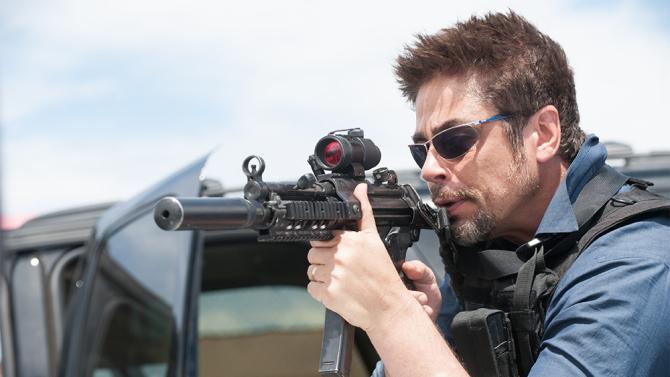 Sicario may be my most anticipated film of the month. We saw the story get mishandled in Jobs. The question arises as to whether or not we really need to see a second shot at it. The trailer makes it seem like Steve Jobs will be a more comprehensive story, and if anyone were to write the story right it would be Aaron Sorkin. Still, how much more can be extracted from the well of mystique that is the mind of Steve Jobs? Michael Fassbender is a force to be reckoned with, so he will be fun to watch regardless. But I am interested in seeing how the film as a whole will come together. For better or worse. 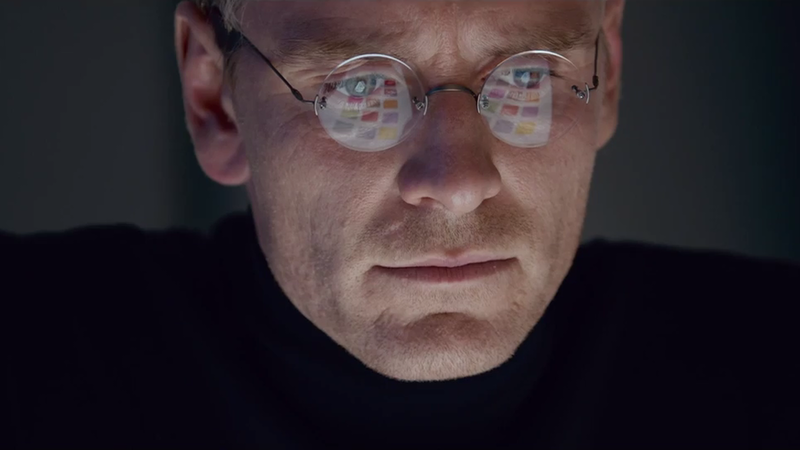 Steve Jobs opens nationwide Oct. 23. This Gothic-looking period piece is the new horror film from acclaimed director Guillermo del Toro. It looks fantastical, though not as much so as 2006’s Pan’s Labryinth. It looks like it could be terrifying. From what I gather, it is a haunted house, supernatural ghost story set in the 19th century. The film stars Tom Hiddleston and Jessica Chastain. Those names alone are enough to make me want to see the movie. Hiddleston has already shown he can do low-key horror in Jim Jarmusch’s Only Lovers Left Alive. Now we get to see if he can do lavish fantasy horror. And Chastain has been on a role for awhile now. Crimson Peak opens nationwide Oct. 16. I’ll be honest: I know nothing about the plot of this film. Haven’t seen a trailer. Haven’t read a review. Haven’t read a synopsis. And that’s how I want it to stay until the movie comes out. What I do know: 1) Steven Spielberg 2) Tom Hanks 3) Coen Brothers. That’s sold in the room for me. There’s no way I’m not going to see this movie. And you’re probably going to see it, too. 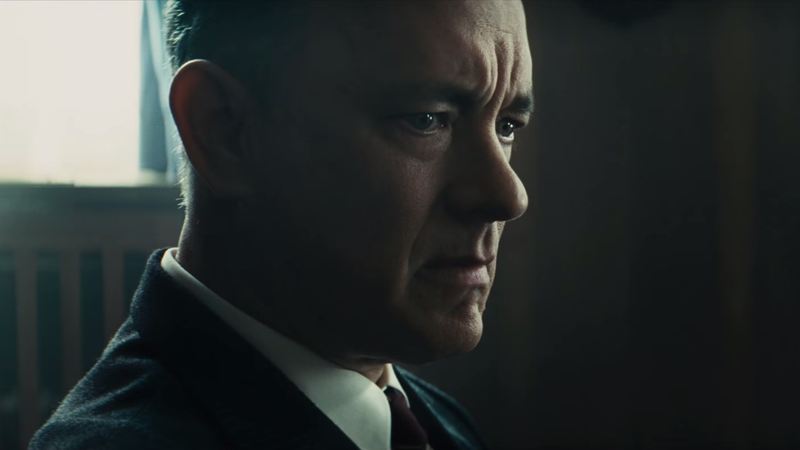 Bridge of Spies opens nationwide Oct. 16. What movies are you looking forward to this October? Let me know in the comments!